I've posted several web sites that post images of workspaces, some of creative agencies, others members posting their own desks. 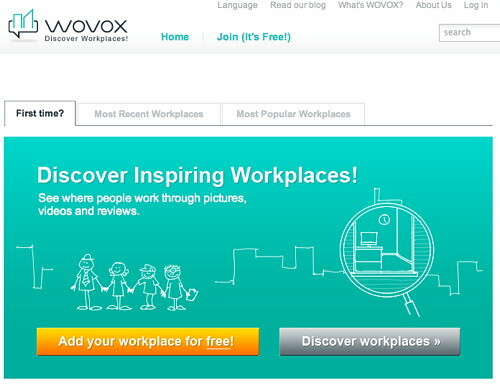 WOVOX is different as they promise to show you inspiring workplaces. Based in The Netherlands they are tapping into an international range of examples. Another good source for inspiration. 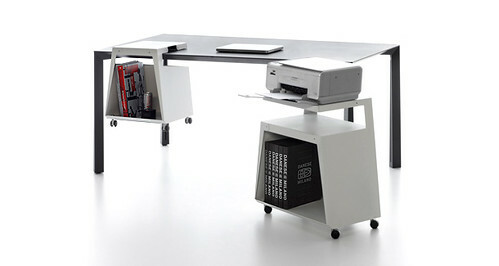 ICF has introduced a very clever mobile workstation called mobi. It has a great combination of simplicity and utility that makes it an ideal desk for some of the new work patterns we've been exploring such as CoWorking. It also makes a great desk for home working. 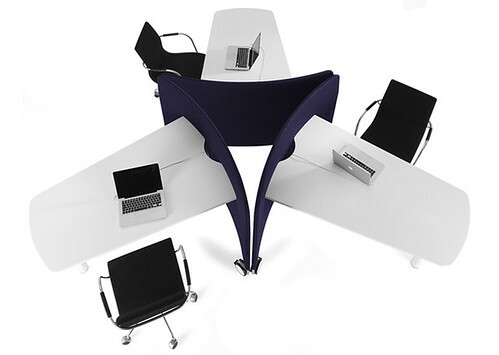 The configuration is simple - a trapezoid work-top is anchored to a fabric covered partition on one end. 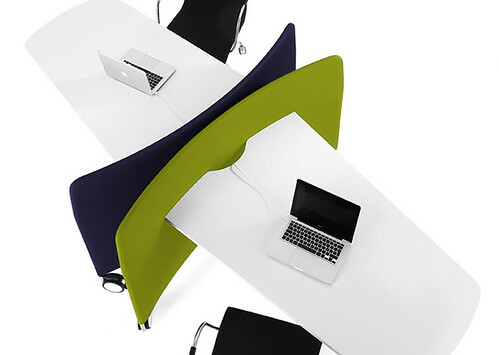 This allows you to use it as a desk, or a three person meeting table. The desk end is supported by a single pedestal leg, while each end of the partition has a caster wheel. This allows you to easily move it around, like a wheelbarrow. And with its tripod stance its always stable, no rocking back and forth and no adjusting feet to chase away the tipping. The partition has a gentle curve which emphasizes the sense of enclosure it offers. This simple desk plus partition can then be combined in a number of ways to form small work groups, or lines of independent work stations. Then they can be easily reconfigured to suit the team, or accommodate a changing task as a project proceeds to completion. What is great here is how easy it is to reconfigure, and how the simple geometry it suggests can combine into many unique desk patterns. 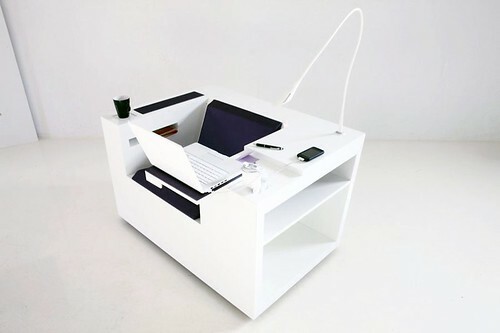 I think this is an ideal desk for day workstations in a CoWorking facility. Small groups can quickly join up to collaborate, loners can define their own space, and it can all be quickly moved aside for a special event or Friday happy hours. Yeah - I'm talking to you, all you CoWorkers pushing desks around this very minute! ICF Mobi - no dedicated web page but can be seen at the ICF web site. From the Living with White blog, the headquarters of Method cleaning products is bedecked with Vitra Joyn big table work stations and Vitra Meda chairs in what else but white. "The Desk" from Benjamin Cox on Vimeo. I really like the way this short video by Benjamin Cox about the nature of the desk in our work life. This really gets at the ideas we've tried to explore here. The desk, the office, as tools in your work life. Perhaps its a tool that is one step removed from things we work with directly such as our computer, our pens and paper. But its no less significant for this relationship, and has the power to either enable or inhibit our work in this way. This close-away office is an interesting product. It appears to be made of painted sheet metal, and allows you to close up your work by shutting the two halves like a suit-case on end. Then it can be wheeled away on the castors on the bottom. A chair - I can not bear to call it a task chair - nests inside, and includes some storage in the base. They are channeling Joe Colombo's Boby rolling storage here. I could see this being good for a home office, but also for a hoteling situation in an open loft like office space. Suppose a co-working space offered these as part of their different plans. 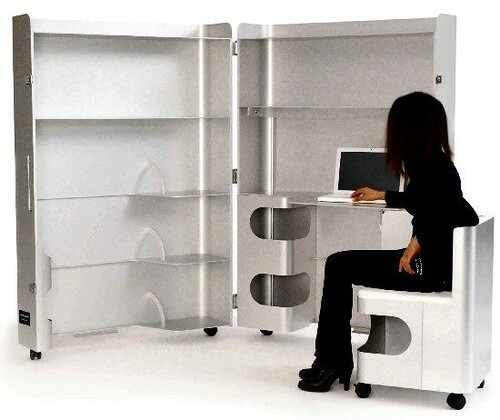 You would rent your office case, and on days you were in the office roll it out into the open office space and set yourself up for your days work. 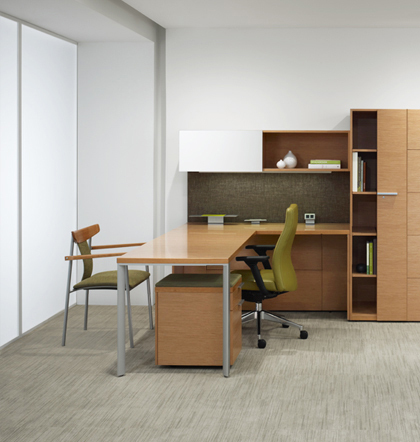 A new office desking system by Gunlocke was an award winner at this years NeoCon trade show in Chicago. Interesting that Gunlocke traditionally a wood casework company is using glass, aluminum, and solid surfaces here. Makes for a much fresher look and I like when they mix the materials. Thoughts about the workplace, why it is not made for work - its made for interruptions. Jason Fried, cofounder of 37signals, publisher of Basecamp and other work enabling software and services. With its constant commotion, unnecessary meetings, and infuriating wastes of time, the modern workplace optimizes interruptions and makes us all work longer, less focused hours. Jason Fried explains how we can change all of this. One Shelly Street is a work place for investment consultant Macquarie Group in Sydney Australia completed last year. 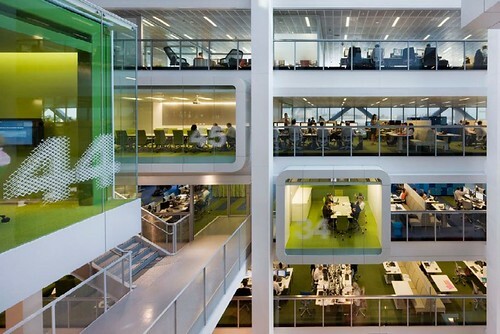 The building was designed by Clive Wilkinson Architects, and the collaborative work platform of Activity Based Working implemented by Dutch consultant Veldhoen & Co.
As the name suggests the work space is organized by spaces designed to support specific activities. There are library like areas with shared tables and desks, small meeting nooks, cafe like table groupings, and traditional conference rooms, all organized around an open atrium. 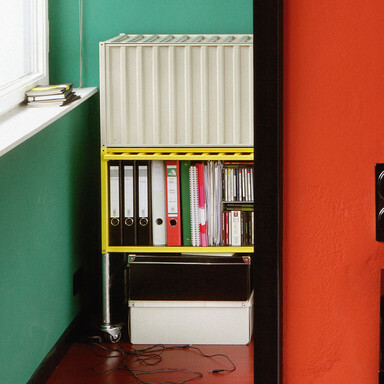 This loosely structured physical workplace is supported by work practices that facilitate it. For instance incoming paper mail is scanned and distributed to employees electronically. This eliminates one source of paperwork that would gather in files that would otherwise anchor a worker to a physical location. All of the work practices of the organization have been examined and modified in this manner to support the flexibility of the workplace. Workers are able to change their work setting as it suits them and the tasks they are doing. It is in the end an effort to enable the workers to take more charge of their environment and ultimately their work. 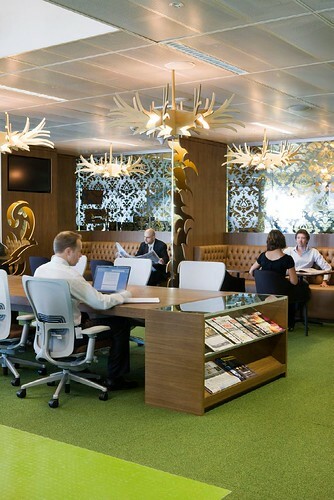 We want to learn more about the principles that have been implemented here because there is a direct relationship between workplace design, and work culture in this example. This is really the type of thing we want to explore on workalicious. This is an interesting pair of storage carts, that also can serve as a make-shift stool and desk. The appear to be made of bent sheet metal in the tradition of economical steel office furniture. I like the way they mimic each other's form while serving different functions. 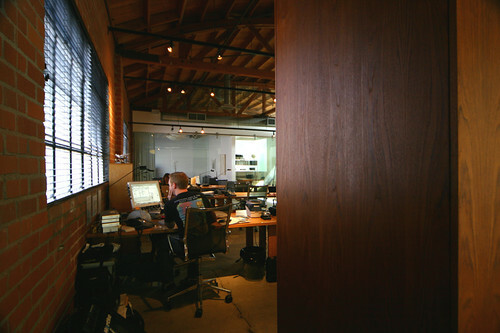 A new CoWorking venue in LA called BlankSpaces located in an old bow-truss roofed warehouse. A very cool setting for a workplace. 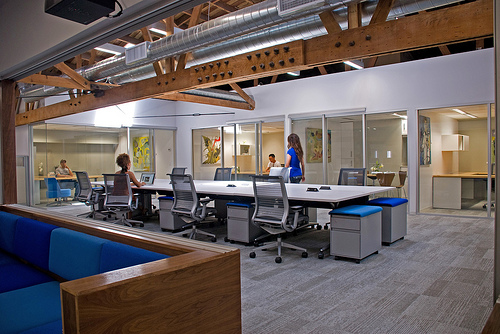 No idea about how they stated up but the space is outfitted with pretty nice contract office furniture. I have to say that I'm astounded by the launch rate of CoWorking spaces. I think I'm seeing 2 or 3 new spaces per day in my internet travels. 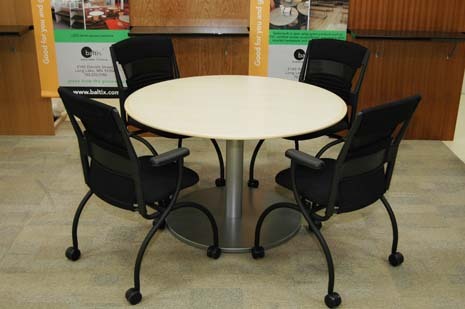 Baltix is a furniture manufacturer in the twin cities that offers a wide range of sustainable material choices for their tables and work stations. 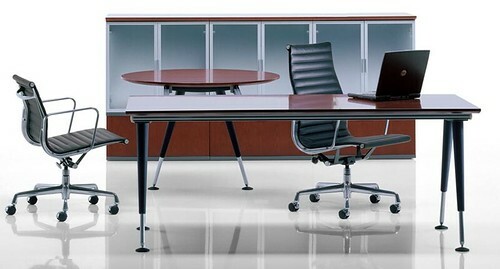 Tables are available in a variety of top shapes, and leg configurations. 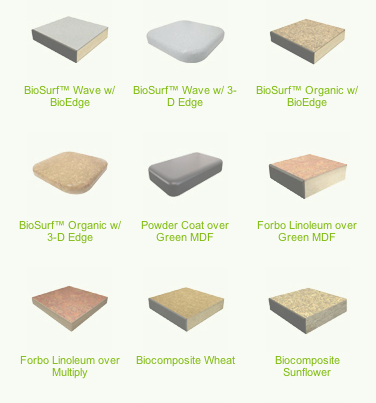 And tops are available in a wide range of materials that include recycled content and sustainable raw materials. Converge, touting itself as New Jersey's first CoWorking space, is set to open in March 2010 and is counting down the days. Apparently the modifications to the space they are renting are underway and they are offering introductory deals on memberships. If you are in the NJ side of New York City this may be a good option for you. They are sporting a wide range of social networking outlets to get their word out, but here are links to two places to connect to start. Looking forward to seeing photos of the completed space. In an interesting article appearing in feep.com linked on twitter by SteelCase the work environment at The United Way of Southeastern Michigan is described in detail. 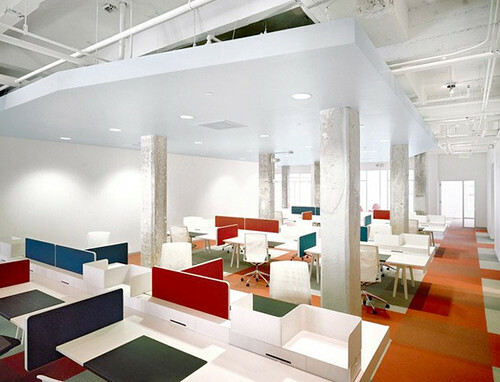 They made a move from a 12 story small footprint building with dedicated offices and desks, to a 2 story facility with open cafe like desk environments and limited fixed desks for a narrow segment of their positions. 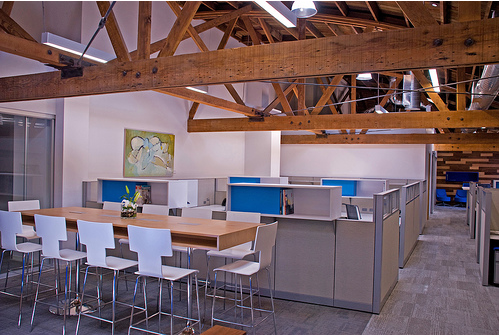 This allowed them to greatly reduce the size of their office space, maintenance and utility costs. Hot Desking or Hoteling is the way this is often described, and it is facilitated by a telephone system that routes calls to wireless phones or individuals cell phones. An interesting execution of a non-territorial office environment. 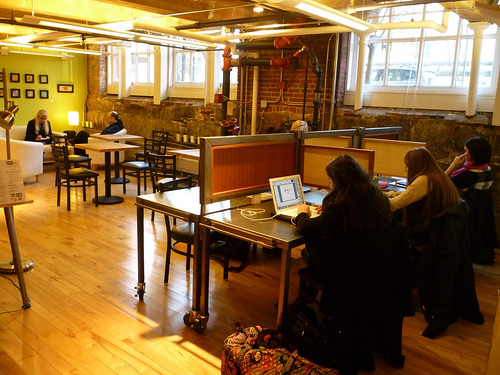 WorkBar Boston is a a CoWorking space is a collaboration between the operator of the space, and two independent workers who subleased from their space's former occupant. When the suite was going vacant they approached the owner to vest in the idea of turning the space over into a CoWorking site - successfully. A great strategy I think some others may be able to use. 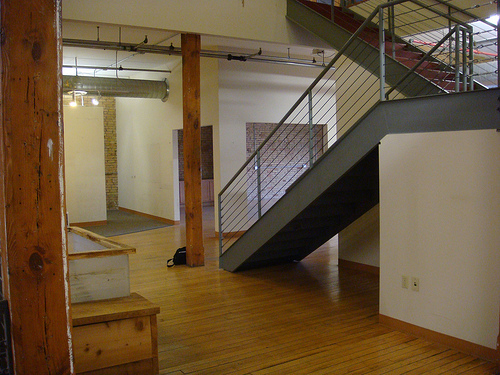 They are also integrating a gallery space as we've seen in some other CoWorking sites. At the Drexel University Library in Philadelphia there is a curious new table group in the central atrium. 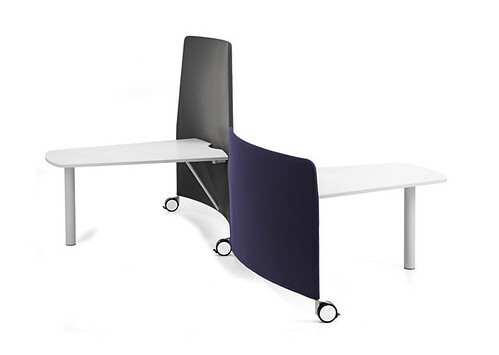 It is a prototype of a new collaborative furniture system that Steelcase is calling Media:Scape. The furniture is designed to promote collaborative work through the incorporation of visual display panels controlled by a central hub integral to the furniture. 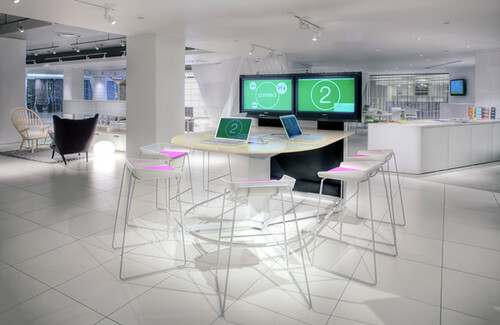 Users of the furniture are able to plug their laptops into the hub, use the displays to augment their work, as well as to present work on other displays connected to the hub. 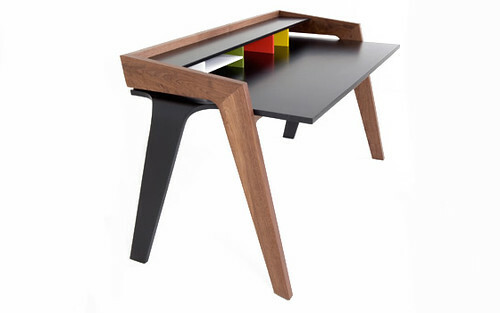 This is an interesting concept, in that it is blurring the line between the furniture and the computer accessories that you could install on any office desk, or meeting desk. Steelcase is taking it on to themselves to say that "we as the furniture maker are in a better position to integrate these functions". The mounting and positioning of the video panels, and the management of their display via the hub can all be much more tightly integrated than if assembled out of 3rd party components. 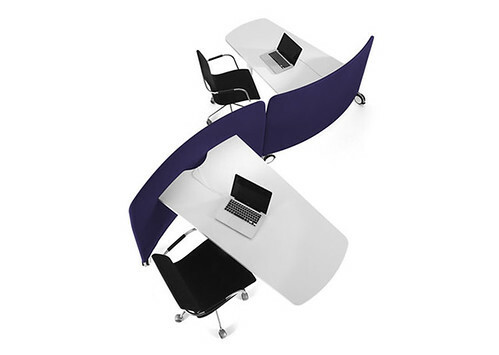 But more significantly is a new type of furniture aimed at collaboration, but not just pulling our chairs together at a table - it also facilitates collaboration of our work tools - via the laptop and display integration. I think perhaps these are baby steps, and ultimately something that will be integrated more closely to us as workers. But for the current state of technology furniture is certainly the best place for this to happen and its interesting to see Steelcase jump on it. 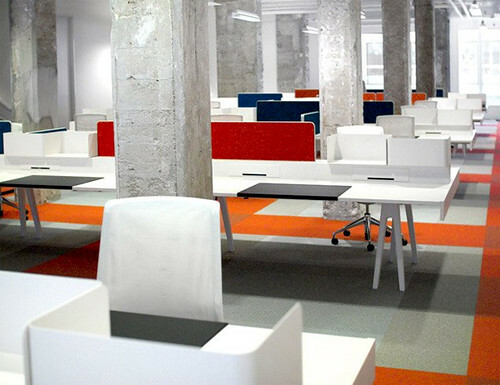 Which brings me to my final question: Is this the first of a generation of office furniture that will be a strong match for the workplace patterns of CoWorking? A great promotional video for an upcoming CoWorking space in St. Paul Minnesota, in fact they were scheduled to open this week on 4Jan10. Their promotional video is very professional, very funny, and very informative about CoWorking as an idea. Well done! 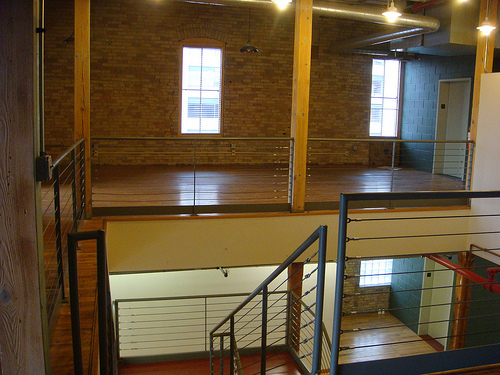 A unique 3 story loft space, it looks to be a great facility. 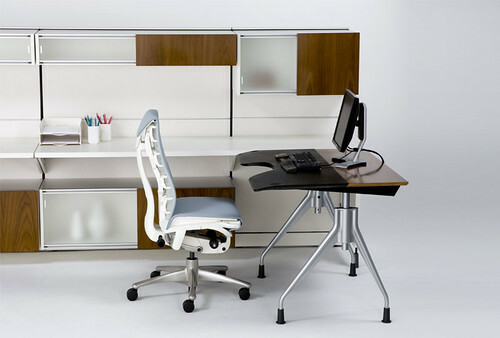 Herman Miller has introduced an interesting small sized computer desk that is a great home/small office desk, as well as easily mates with their other more complex cubicle and desk systems. 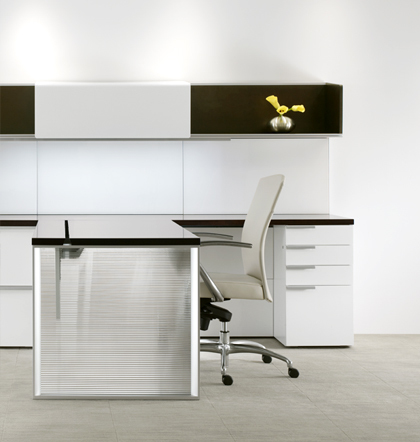 The most compelling feature of the desk is its active top that allows you to slide the work surface towards you settling into a recess in its front surface. 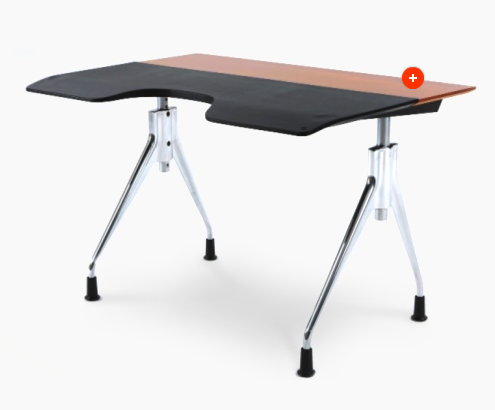 This sliding mechanism is a new action in active desks. 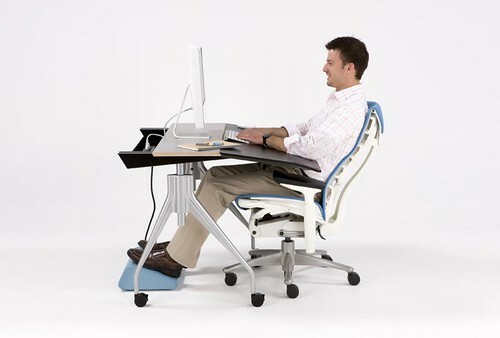 We've seen tops that tilt, and tops that raise and lower, but this one is unique in that it comes forward to meet you, at once sliding, and angling to put your arms in a comfortable keyboarding position. 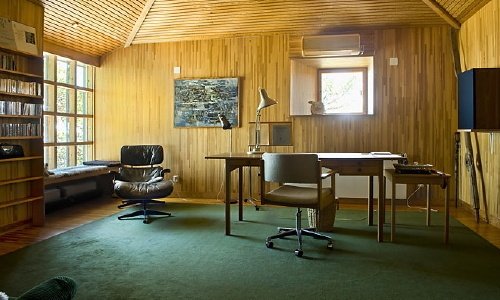 In fact I think that this is the first desk I've seen that attempts to accommodate the habitual slouch that we often find ourselves in - in combination with one of their sophisticated chairs and a foot rest they can actually turn this into a healthy posture for working - interesting! 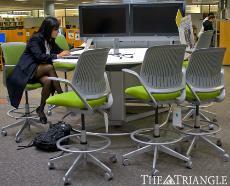 This sort of parallels a series of low elevation lounge capable task chairs we saw coming out of Japan late last year. 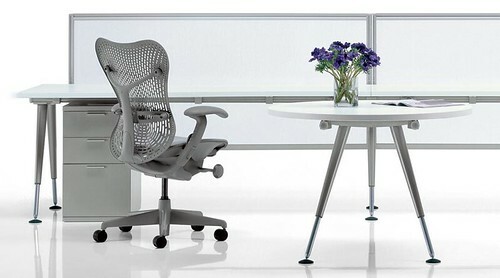 The desk is innovative, yet Herman Miller has pulled from the parts bin to an extend, using the legs and under-carriage from their Avive desk system for the legs of the Envelop. 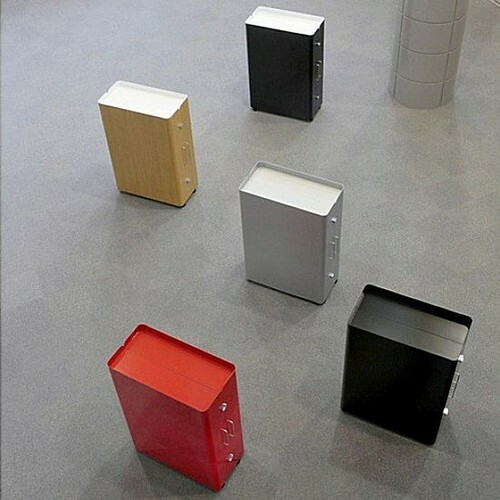 No problem with that - it will help the Envelop table live better in an office populated with Avive desks. 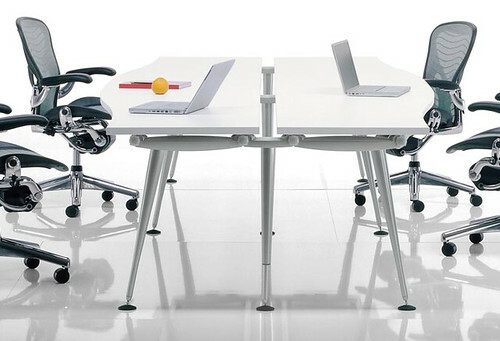 I really really like this flexible desk system called Abak by Herman Miller. 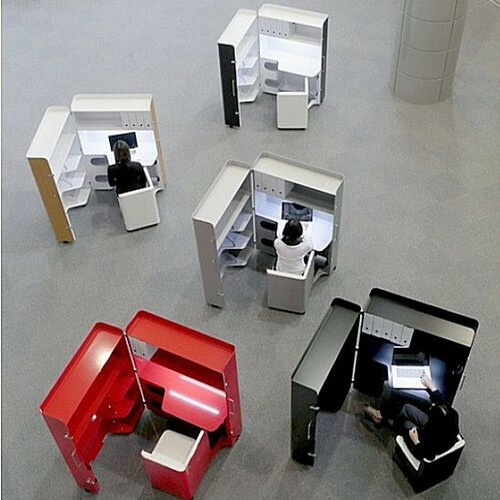 It is not a rigid furniture system like something you build cubicles out of, but rather a flexible desk system which can let you work with a series of mobile tables, or in private cubicle like spaces using clamp on screens. 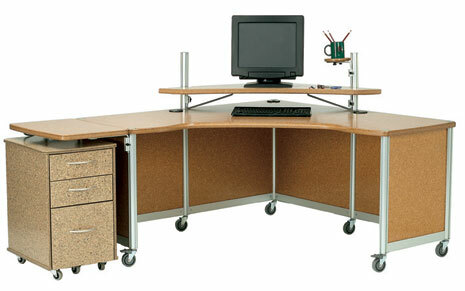 But you can also build spine based systems from it, and by golly you can do Big Table Desking with it too. 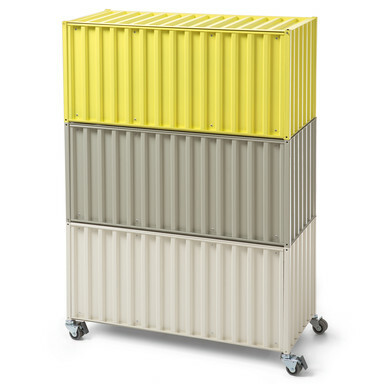 These metal storage cabinets are made to look like tiny shipping containers making an intersection of two of my great interests - making buildings from shipping containers and office furniture! They are apparently for sale, but I have not gone to the length to translate the web site which is in German. 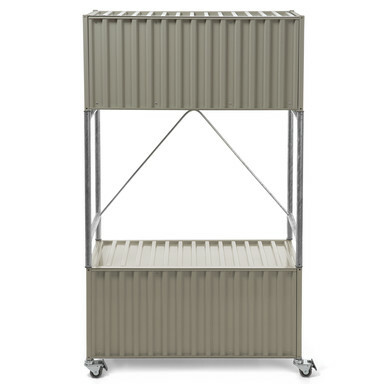 They are stackable, and there are several different bases and castor options. 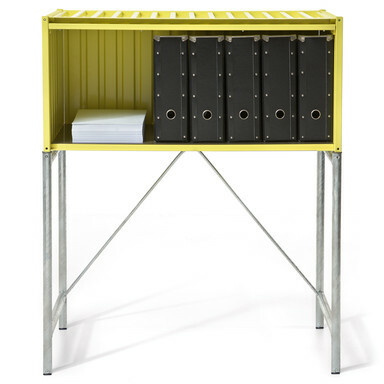 Metal office furniture is a long standing product in the states, and in my mind this points a way towards those metal desks and file cabinets taking on a more interesting appearance. Rather than the boring flat sides we have come to expect in this commodity furniture, lets see some corrugated sides and interesting texture. 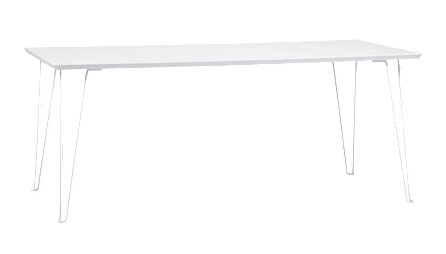 CB2 makes this simple table with a hairpin leg that has a great mid-century modern vibe. 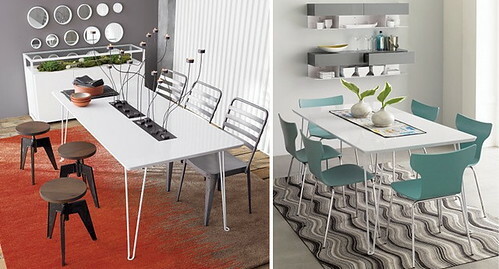 There are cheaper tables out there, but not necessarily with such a cool retro look. 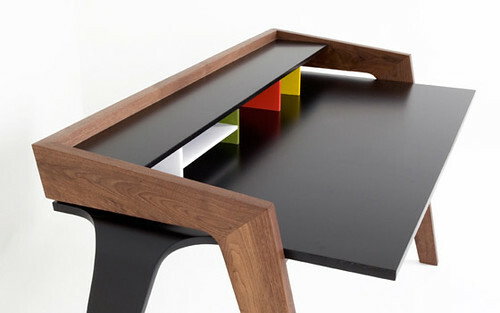 It would make a great table desk, or a nice gangable conference table if you put two of them together.